Perry Robinson Quartet - "Call To The Stars"
home / discography / Perry Robinson Quartet - "Call To The Stars"
the second offering of the Perry Robinson Quartet on West Wind, is as delightful as a jazz coloring book and as stirring as a dream journey. Each of these ten pieces burns with a gem-like individuality. The result, much more than the sum of its parts, is a sustained ride through a slice of Perry Robinson's musical universe. And for those unacquainted with "Nightmare Island", it's an introduction to a group making its mark in contemporary jazz. "Call To The Stars" is a blend of the old and the new, the in and the out, and with a modern clarinet master at the helm, quartet playing at its most highly evolved. Henry Grimes' "Farmer Alfalfa" is named for a cartoon character and appeared on Funk Dumpling, Perry's 1962 debut LP (recently reissued). Here the quartet takes the driving, boppish melody to a country dance. But behind the festive air, in the sly off-centered chords Simon lays down, there's a strong hint of what we're in for. "Unisphere" is the first of what Perry calls his "automatic compositions" to be recorded. They derive from a period beginning in 1963 when Perry was with the U.S. Army band. He used his time on the banks of the Panama Canal to help develop the kind of free music that would be flourishing with his return to the States in 1965. The melody'' lyrical second half came to him in a flash. Listen especially to the interplay between Ernst and Simon and then the tug between Ed and Perry. "Henry's Dance" is another of Perry's tributes to Grimes, one of jazz's greatest bass players. "Ed gives me the same kind of feeling" says Perry about Schuller, who, it might be noted, plays a key role in the recording of Charles Mingus' monumental "Epitaph". Simon's solo here is packed with allusive wit. The bright, piano-player-like sound of the spinet used on this number contributes to the kaleidoscopic effect. Darius Brubeck's "Sinderam Song" projects us into an altogether different sound space, meditative and, for a while, reminiscent of a raga. The tune features Simon Nabatov, whose prodigous pianism was nurtured at the Moscow Conservatory. Perry's overdubbed clarinet builds musical terraces and just before the return to a meditative calm there is the feeling of an exuberant march across an extra-terrestial surface. Ernst Bier's percussion solo is a segue and a take off into "Warp Factor 9", an automatic composition whose title derives from 'Star Trek'. A touch of sinister is dissolved with the onset of climax and the trace of a quote from the MJQ's "The Golden Stryker". Composed in the revolutionary days of late 1989 when the Perry Robinson Quartet was touring Germany, "Perry's Troika" is the lashing out of a whip followed by a lovely counter-statement. The Capricorns (Simon, Ed and Ernst) steer Perry's Virgo rhythmically shifting gallop across the barren wastes, headlong into a question mark. "Whose destiny?" Perry's pun seems to ask. "Old Growth Forest" may provide an answer. 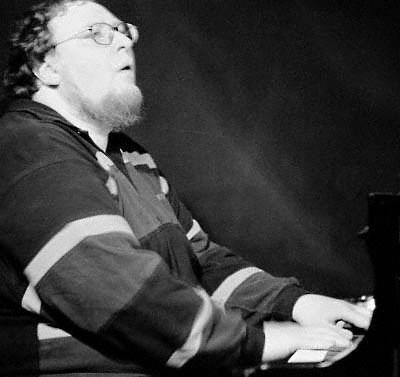 Denis Yerry who wrote this haunting piece, is a native American composer/pianist Perry often gigs with in the States. The clarinet rises out of its rich low register, souring towards the top of the redwoods before falling to the forest floor. Meanwhile Simon gets low-down. 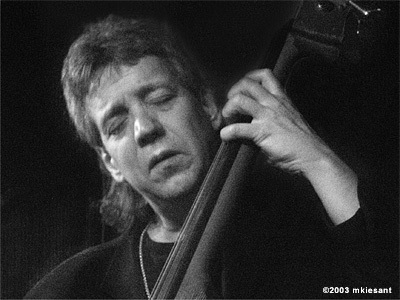 Ed Schuller's "Shu Bass Blues" was written especially for the session as remembrance of bass masters Oscar Pettiford, Ray Brown, and Jimmy Blanton. Simon lays a blues row against the bass line, and when Perry enters with a sigh, his horn sings "I'm in Heaven" momentarily before entering into the business of this tough-minded blues. Taken from an H.P. Lovecraft story, the title tune "Call To The Stars" has as its key elements, says Perry, a farmer, a meteorite, and a message. A procession of augmented chords broken by a Latin 6/8 on the bridge sets the stage for the impending blast-off. "Perrywinkle Blue" finds Perry peering through the prism of a tiny crustacean shell, reflecting on his passage through time. A 7/4 on the main theme shifts on to a 2/4 bridge. Simon's and Perry's duo is one of the recording's many highlights. Ed says, "I Got Plenty Of Nothing," the kind of paradox Perry approves of.